Who has always wanted to own their own village? Well now is the time to own a Tuscan village for just £2 million and you can buy it on eBay! The village is a medieval hamlet of Pratariccia and is over 800 years old. All the houses were abandoned 50 years ago and now is on the market for a cook £2 million. As time passed in the village and the older generation passed away and the younger generation moved on to find work the hamlet was left abandoned and now is a ghost town. A few of the houses have fallen down as they are built from the traditional Tuscan stones but there are still 25 homes standing, although they are in need of serious renovation. 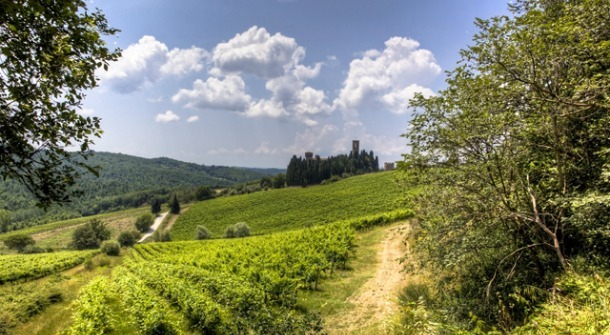 Pratariccia is amongst rolling hills, 2,400 ft above sea level and is situated just 25 miles from Florence. The area of course has the obvious potential of becoming a holiday development but there are also other possibilities including a spa, shops, salon and restaurants. If you are looking to buy, make sure you have the correct insurance for whatever you plan to do with the space, such as business insurance and definitely seek advice from your lawyer. There are many other hilltop villages around including Bibbiena and Poppi. Poppi is famous for the castle that is on top of it as it has Renaissance frescoes and Latin manuscripts and is close to the homes of the Camaldolesi monks. Pratariccia was put onto eBay earlier this month by LPQ Immobiliare although can’t have bids placed on it as it has been listed in the classified ads sections with a tag of €2.5 million which is half the initial asking price. The estate agent who is handling the sale is Carlo Magni who has said, “It’s a unique once in a lifetime opportunity to own your very own Tuscan hamlet – and the price is a complete bargain. Where else would you get all those buildings, land, panoramic view, plus all the history for €2.5 million? “If someone with the money to spare invested in the village and rebuilt it they would have a fantastic development and it would generate work for the local economy. Putting the hamlet on the internet is the best way to get publicity so hopefully it will sell quickly”. Find out which features you need to include in your salon insurance policy to be fully protected. From buildings and contents to employers’ liability, get all the information you need in our blog.